Hello, hello, everyone! The holiday season is fast approaching and for the first time (in forever!) 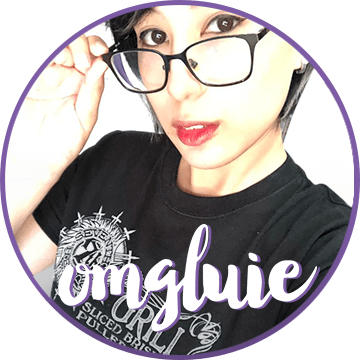 OMGluie is giving away some items, perfect to celebrate the festivities! Check out what goodies you can win from your favorite geek merchandise shop – Long Live Play Philippines! I’ve actually had these items for quite some time now, I just couldn’t find the proper time (or mechanics) to give these items away! But without further ado, here are the awesome items you can win from this giveaway! According to the Re:Zero Wiki, “Pack (パック) is an Artificial Spirit that Emilia was formerly contracted with.” He’s so cute! Plus the fact that he’s a kitty carrying a purple bag? How adorable is that???? I haven’t seen the anime or read any of the light novels yet but I’ve watched a couple of video trailers. *shakes my head* The plot looks really effed up, HAHA. What do you guys think??? Mechanics have been updated and the contest has been extended! 1. LIKE & FOLLOW OMGluie on all Facebook! 2. LIKE & FOLLOW Long Live Play Philippines on Facebook! 4. Don’t forget to use the hashtags #OMGluiexLLP #OMGluieGiveaway, for easy tracking! The contest has been extended to January 31, 2017! I will draw the winners on February 2, 2018! Metro Manila shipping will be covered by me, but provincial shipping will be covered by the giveaway winner.